the housing policy of most nations focused on increasing home ownership. There had been very little discussion about rental housing, less about social housing, and virtually none about public housing. The mortgage crisis showed the challenges inherent in pushing for home ownership for all. With homes going into foreclosure and with credit tightening in many countries, the need for rental housing increased dramatically. However, most countries are only beginning to consider supporting rental housing as a shelter option. 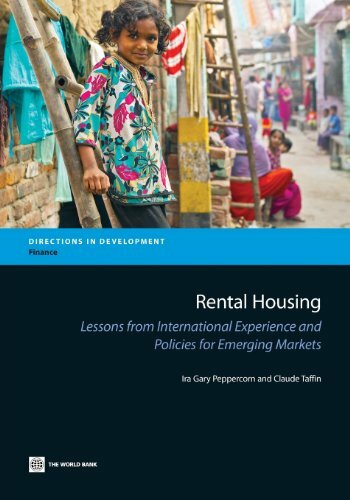 This book is an effort to bring rental housing to the forefront of the housing agenda and to provide general guidance to policy makers. The information it provides can assist key players in housing marketsâ€•government officials, private rental property owners, financiers, and nongovernmental organizationsâ€•in including rental housing as a critical housing option and in having an informed discussion on how best to stimulate this sector.